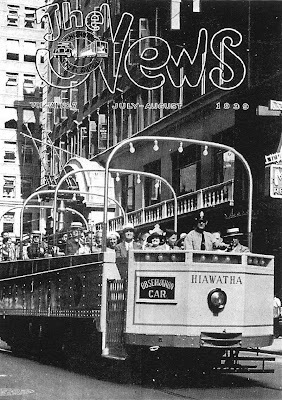 "Observation Cars" offered scenic rides around the Queen City for a mere 25 cents during the Summer months. 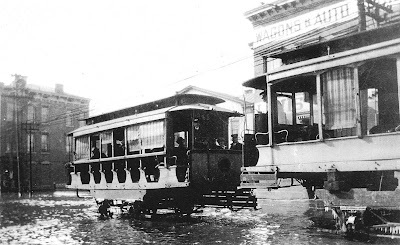 "Highwater Cars" were developed in response to several large floods. These enabled the transportation of people who were in flood-stricken areas of the city. 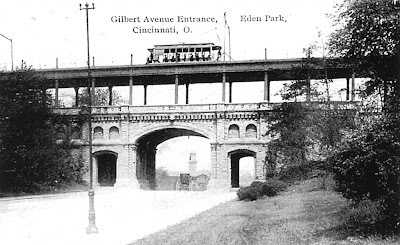 Eden Park entrance in 1905. After stability concerns this streetcar route was moved to Gilbert Avenue, with the bridge later removed. 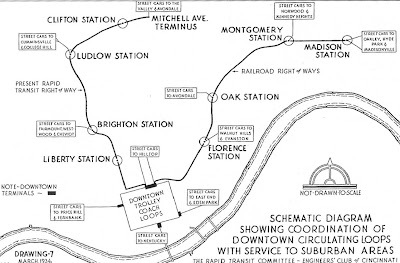 Downtown streetcar loop plan connecting with several of the nearby suburbs. It's funny how history repeats itself. If you've enjoyed these photos, feel free to browse through the rest of the photos I've uploaded from the late 19th and early-mid 20th Centuries. You can view the full Photobucket album here, or you can choose to check out the annotated photo thread I've posted on UrbanOhio. Seeing the Observation cars just ticks me off - "contemporary" Cincinnati still doesn't seem to understand that history is the largest visitor draw (I've read); we have so much of it and it's underutilized. Also, still sad that the park line/bridge was removed - that would've been beautiful to ride. 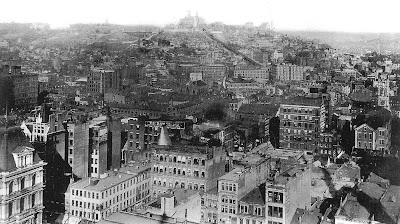 And notice the stairs on the old fountain square - really interesting. It really seemed that the city planning had purpose and meaning back then. Now we just pave over everything. Thanks for sharing these AWESOME pics! 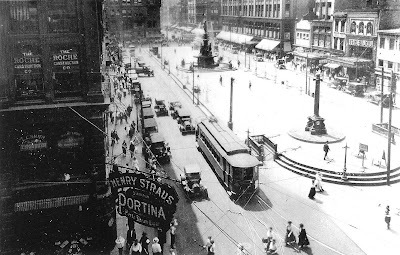 WOW, fountain Square 1925. Its incredible how much it has changed in just 80 years time. I can only hope that some day our city can again become as alive and vibrant as it once was. I really believe that bringing streetcars back to the Queen City will have dramatic positive outcomes for our downtown and surrounding neighborhoods! I, too, enjoyed these old pics. I like historical photos, I don't know why. These things make soooo much sence! 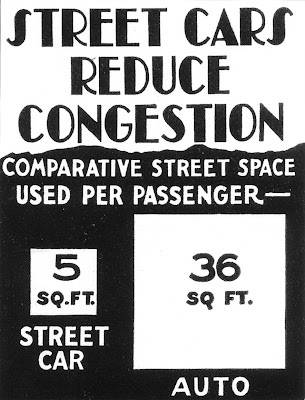 I dont know why the city can't get off the pot and get street cars implemented back into city life. Those are excellent photos! I really like the photo with the Queen City canal boat. I find it interesting how the city looks more dense. Seems like many buildings have been torn down. Some may be interested in a few photos I collected years ago from Library of Congress that I posted to Flickr.